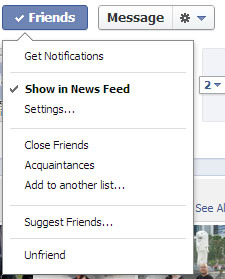 This tutorial will teach users of Facebook to quickly control what they see of friends’ posts on the NewsFeed using two default lists that the social networking site has conveniently provided. Please note the date of this article as Facebook is always making tweaks to its systems and this post may not be relevant after a period of time. 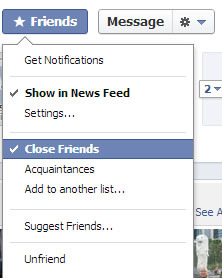 Placing a Facebook friend in the Close Friends list means the user will see more of this friend’s posts in the NewsFeed. 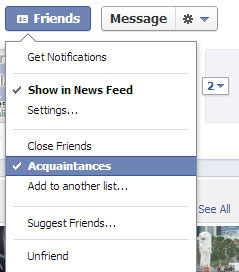 Opposite to this, placing a Facebook friend in the Acquaintances list means that the user will see less of this friend’s posts in the NewsFeed. 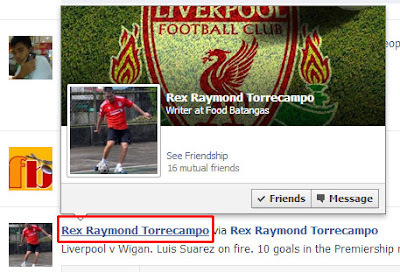 Go to the Friend’s profile. Find the Friends button to the right of the page just below the Timeline cover (if you have migrated to the Timeline view). Hover your mouse on the button to bring down the menu. and the Friends button gets a yellow star Close Friends graphic icon. 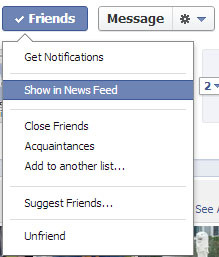 and the Friends button gets a rectangular Acquaintance graphic icon. 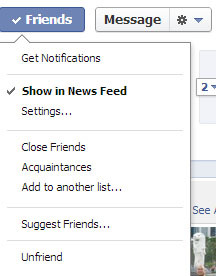 If you prefer not to see any posts from a friend, simply unclick the Show in NewsFeed option. That’s it! You have learned how to control what you see on your own NewsFeed! 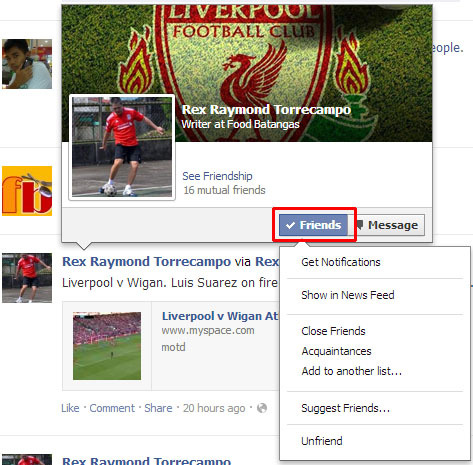 You may also place a friend in either list straight from the NewsFeed. Simply hover your mouse arrow over the hyperlinked name of a friend in the Newsfeed to bring up the friend’s pop-up profile. Move your mouse and hover over the Friends button to bring down the menu. All other steps are similar to those explained in Method 1.